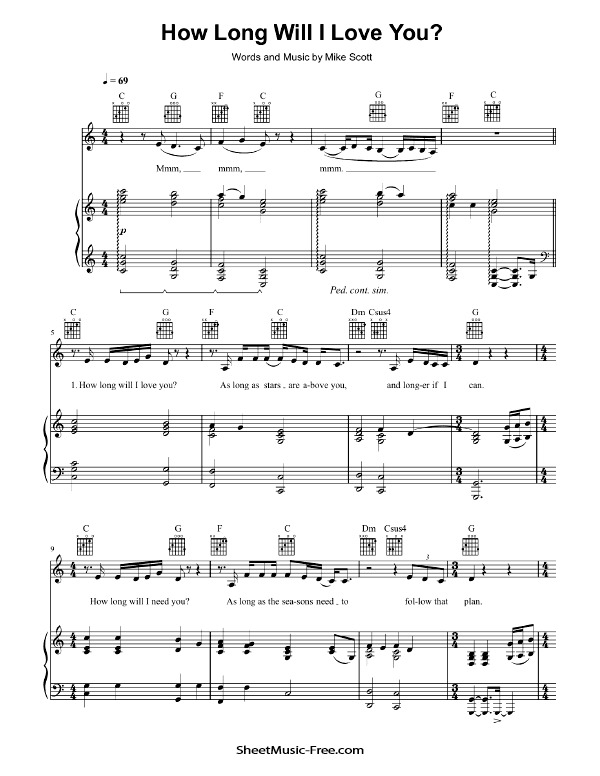 “How Long Will I Love You Sheet Music” by Ellie Goulding, “ How Long Will I Love You Sheet Music” for Piano / Vocal/ Guitar Chords , Original key: C Major, number of pages sheet music PDF: 4, Video and Lyrics song How Long Will I Love You Sheet Music. “How Long Will I Love You’” is a song by folk-rock band The Waterboys. The song was subsequently covered by English singer Ellie Goulding and released as the second single from her album Halcyon Days (2013). How Long Will I Love You Sheet Music Ellie Goulding.